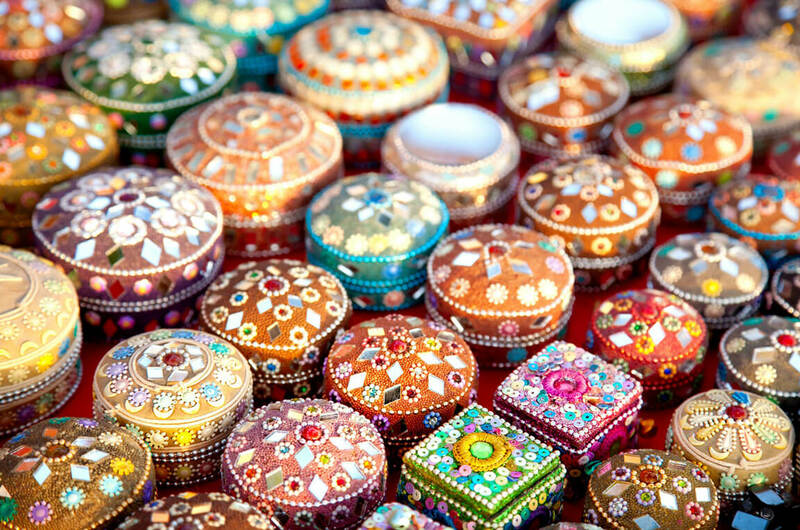 It’s not India’s biggest festival, but it’s the most colourful — and probably the one most beloved by foreigners. 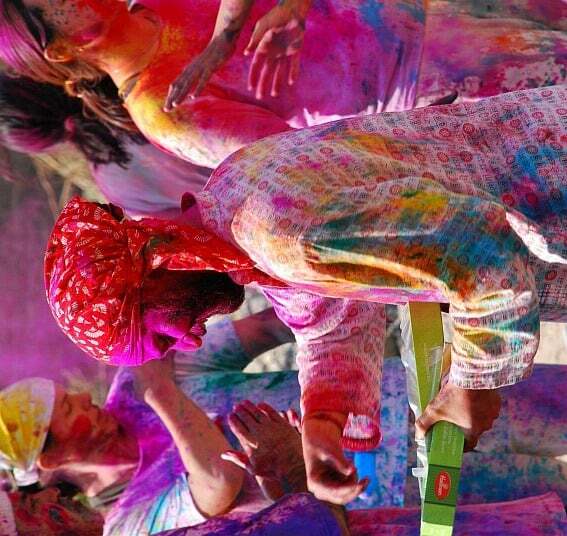 Many people have “experience Holi in India” on their bucket lists, and for good reason. How often do adults get to throw coloured powder at each, and squirt each other with water guns filled with coloured water? And … for those who are more adventurous than me … there is the bhang lassi, too. The Holi Festival does not happen on a fixed date each year, it’s celebrated at the approach of the vernal equinox, on the Phalguna Purnima (Full Moon). This year, 2019, it’s March 20-21. Holi starts with a bonfire the night before, and then most of the fun happens the next morning. People throw coloured powder at each other, and spray each other with water guns filled with coloured water, or throw balloons filled with water at each other. It’s usually all over by the early afternoon. The festivities also include music, dancing and of course food, including Holi delicacies such as gujia, a deep-fried dumpling made with flour and stuffed with a mixture of sweetened dried fruits. In the evening, after cleaning up, people get dressed in their best clothes and visit friends and relatives. I’ve been in India four five times for the Holi Festival, and my experience is that it’s a holiday best celebrated with family and friends, especially if you are a female and a foreigner. Below are my top tips for celebrating Holi safely, plus information on alternatives, for those who want to avoid it while travelling in India. Revellers lift and carry a man during Holi Festival, India, 1996. Photo by Steve McCurry. 1. Find a family or group of people to play Holi with — don’t go out into the street by yourself in India’s metros. I’ve celebrated the Holi Festival three five times in India. 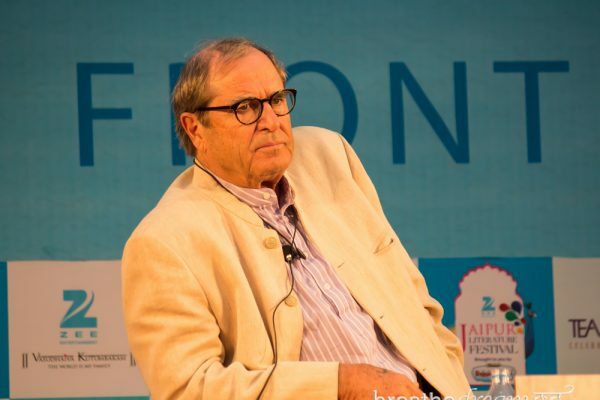 Twice I was with my “Indian family” at a private club in Delhi; once I was with my Indian yoga teacher at an ashram in Rishikesh; and last year I was at Prakash Kutir in Delhi. I found these were the perfect venues for safely experiencing the Holi Festival. I got drenched with colour, had fun, ate loads of sweets, and didn’t have worry about getting attacked by out-of-control boys and men. Unfortunately, I’ve heard lots of stories about foreign women walking out into the street during the Holi Festival and finding themselves targeted by males who were using the festival as an excuse for groping. Remember that even men who are normally well behaved may be under the influence of bhang lassi, a highly intoxicating drink made with cannabis leaves. 2. Cover your skin with oil and wear clothes you can throw away. The first time I celebrated the Holi Festival in Delhi, no one told me you should oil your skin first and I had a hot pink face for a week! That’s not the worst thing in the world, but it is much better for your skin if you cover it in some kind of oil (I used almond oil) so that you can wash the colour off easily. Clothes are a complete write-off. It’s fun to wear something white that you don’t want anymore, so then you can really see the colour! 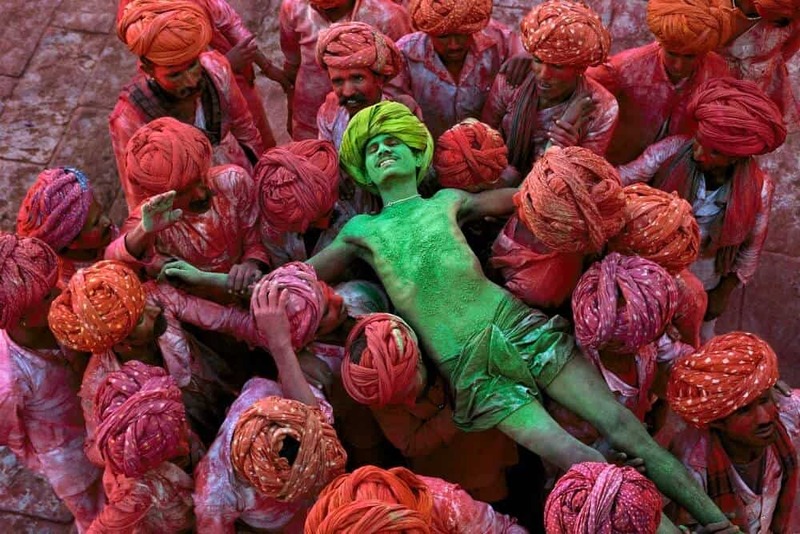 Holi is much more exuberantly celebrated in North India, and many towns and cities claim to have the “best” Holi atmosphere, but I would probably try Mathura/Vrindavan (birthplace of Krishna), or Jaisalmer, Udaipur or Jaipur in Rajasthan. Delhi has a lot of private Holi parties that you can pay to attend. You can book tickets to some of them here on BookMyShow. Please note: I do not recommend that women, especially foreign women, attend these festivities. I know some who have, with mixed results. It can be fun, but it’s almost impossible to avoid being groped and harassed, even if you are with men. It’s unfortunate, but that’s the way it is. 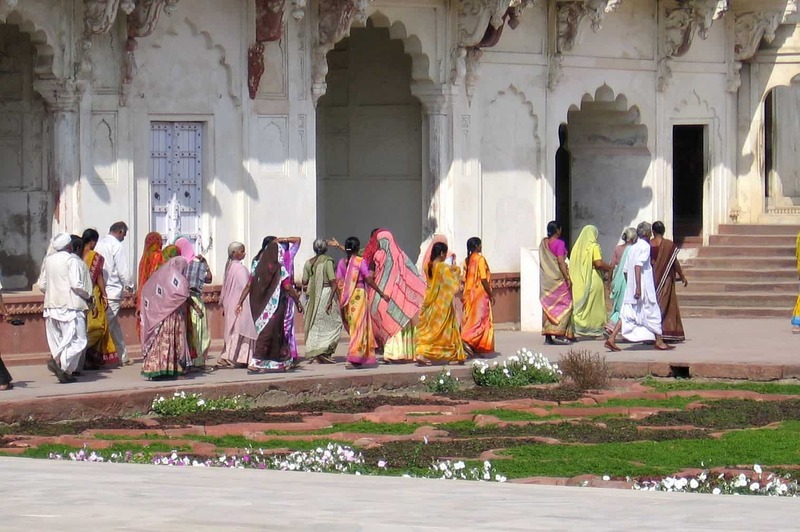 On the morning before Holi, March 20, the place to be in Vrindavan is the Bankey Bihari Temple. You can climb up to the top and watch from the roof as the entire town of Vrindavan gets submerged in colour. It’s the safest place to be and a good spot to take photos. 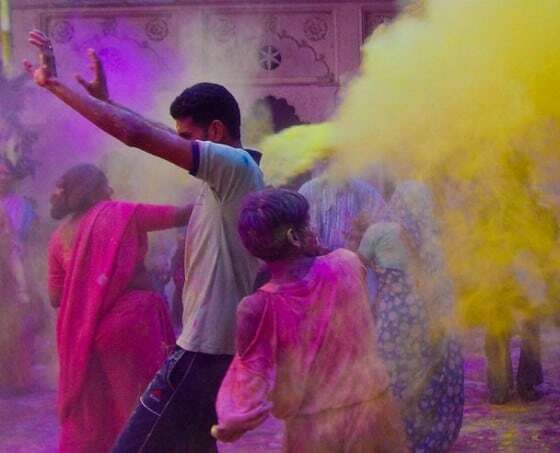 Many of the photos you see of Holi are taken at the Bankey Bihari Temple. Later there’s a procession in nearby Mathura. And the next day, on Holi itself, the Dwarkadheesh Temple in Mathura is the place to be. 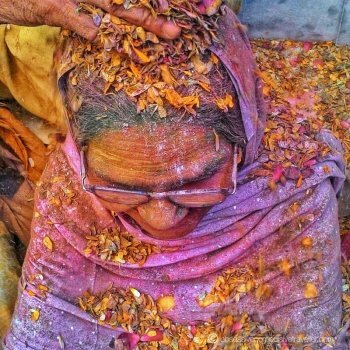 Travel writer Divya Prasad offers this suggestion: The annual Widow’s Flower Holi Celebration will be held on March 18, 2019 at the Shri Radha Gopinath Temple in Vrindavan. 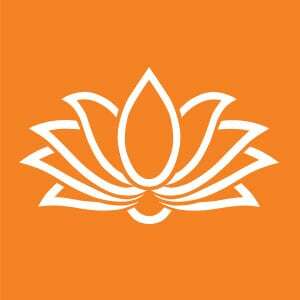 It’s organized by Sulabh International NGO, who have played a huge hole in reviving the lives of widows from various ashrams. It’s best to reach by 7 am. If you want to shoot the experience, cover your camera and arrive early to get a spot on the upper floors at Gopinath temple. Only flowers, sandalwood, Gulaal and similar traditional colours are used during these celebrations. If you wear glasses, guard against monkeys – they grab them and refuse to return them until you give them food. Dress modestly with appropriate layers, as you don’t want to feel uncomfortable with the sudden water or colour attacks by gangs while on the streets. It is a must to try the Gujiya sweets, the sweet or salty lassi yogurt drink drinks, and the samosas in the streets of Vrindavan. Vrindavan is extremely crowded during Holi, so take care to guard your valuables, and take it easy. Go with an open mind. Be present and embrace the experience wherever you are. Note: Another alternative is the ‘Phoolon wali Holi” (flower Holi) celebrations at the Shri Banke Bihari Temple at Vrindavan held every year on the Ekadashi before Holi, 4 pm onwards. Divya Prasad is a writer, travel blogger and sacred geometric artist living her little dream in the Himalayas. She blogs at ObsessiveCompulsiveTraveller, a hearty life collective of folklores, mountains, culture, indigenous tribes, art, spirituality, people and transformational travel experiences. 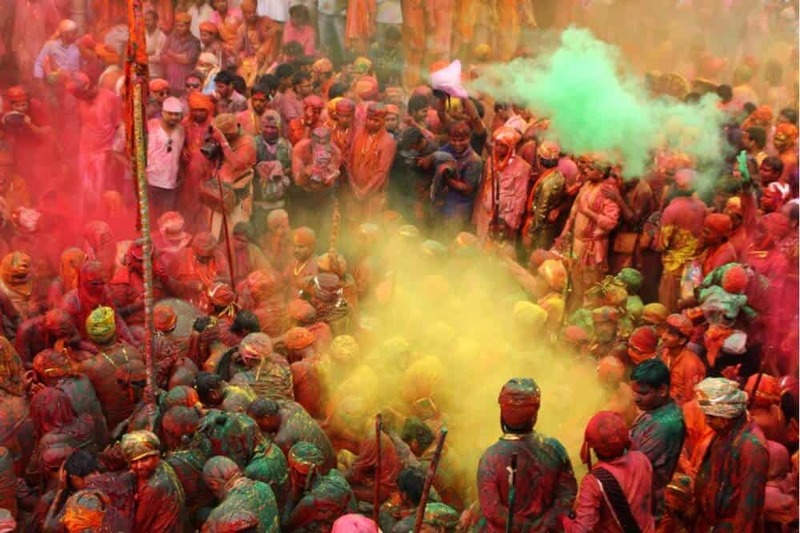 There’s also a celebration called Lathmar Holi in Barsana and Nandgaon, Uttar Pradesh, that takes place before Holi. This year, 2019, Lathmar Holi takes place in Barsana on March 15 and in Nandgaon on March 16. 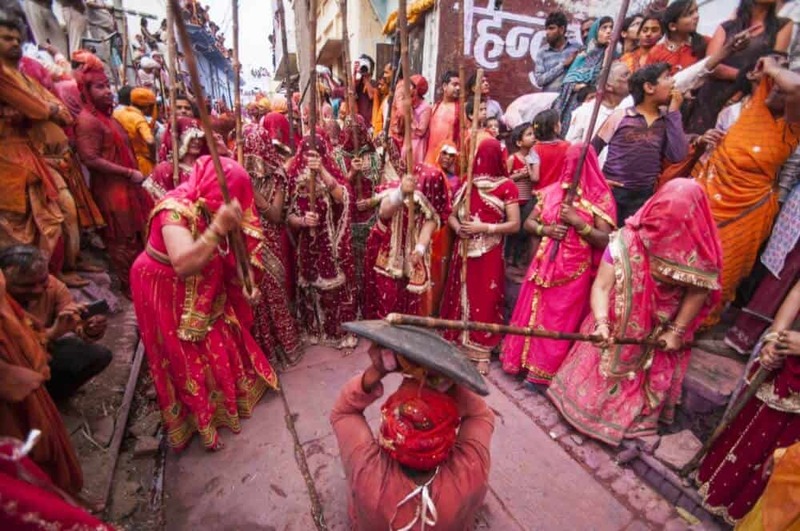 During these celebrations, the women and men of Barsana and Nandgaon take on the roles of Krishna and Radha and “fight” for supremacy with lathis (sticks). On March 15, the men of Nandgaon invade Barsana and the women beat them off; the reverse happens on March 16 in Nandgaon. Okay, I’m not writing from experience because my Indian family did a really good job of dissuading me from trying it. Bhang lassi is a very powerful intoxicant, disguised as a sweet, delicious milky drink. If you know what it’s made from — cannabis leaves — you will know why I was surprised that it was being served at the very upscale private club in Delhi where I celebrated Holi. Naturally, I had to try it, but I only had a few sips. I heard too many stories about aunties ending up in hospitals. Bhang lassi is one of the reasons it’s not safe for women to wander in public on Holi in India — lots of people are seriously intoxicated. 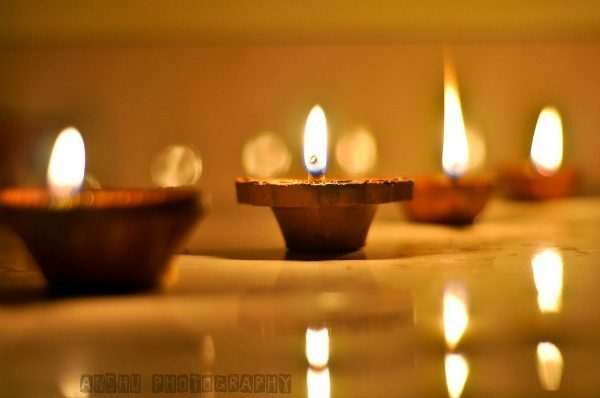 The Holi Festival does not seem to have a singular significance, the way Diwali does for example. It’s a celebration of spring, of unity and brother/sisterhood and — like many festivals in India — of the triumph of good over evil. This is the time when the fields are in full bloom and people are rejoicing over a good harvest. There are of course mythological stories attached to Holi. 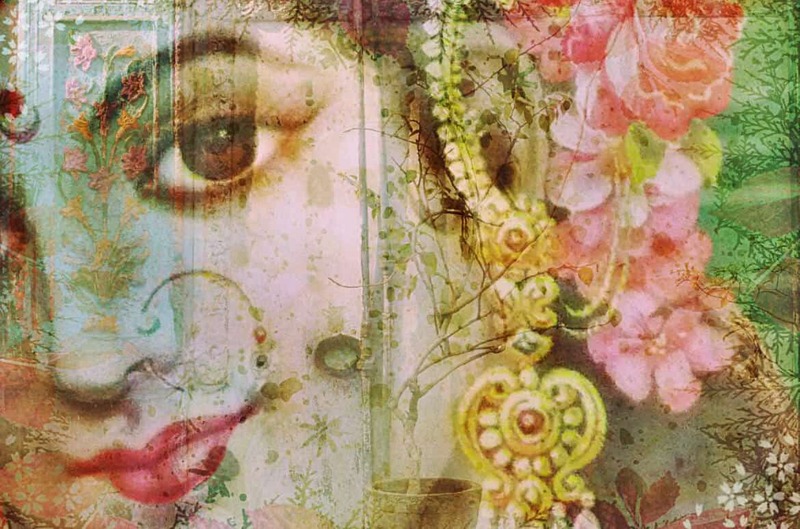 The most popular one is that Krishna applied colour to Radha’s cheek. And as these sweethearts represent harmony in love, it’s a charming image and connotation. If you’re like me, and not interested in celebrating the Holi Festival in India, you may be wanting to actually find a place to hide out during the festivities. My top suggestions are to either “hide out” in a Yoga Ashram, retreat to a national park, visit an off-beat location or go to the beach. Last year, I played Holi with my friends at Prakash Kutir homestay in Delhi. It was really fun and I was completely safe. You might be surprised to learn that some of the colours people throw around are actually quite toxic, especially the metallic ones. Avoid the metallic ones at all costs. There are safer and more environmentally friendly alternatives for sale or you could even make some yourself. You can learn to make Holi colours from organic ingredients here. Or you can buy Holi colours from The Better India shop here. « What’s the story? 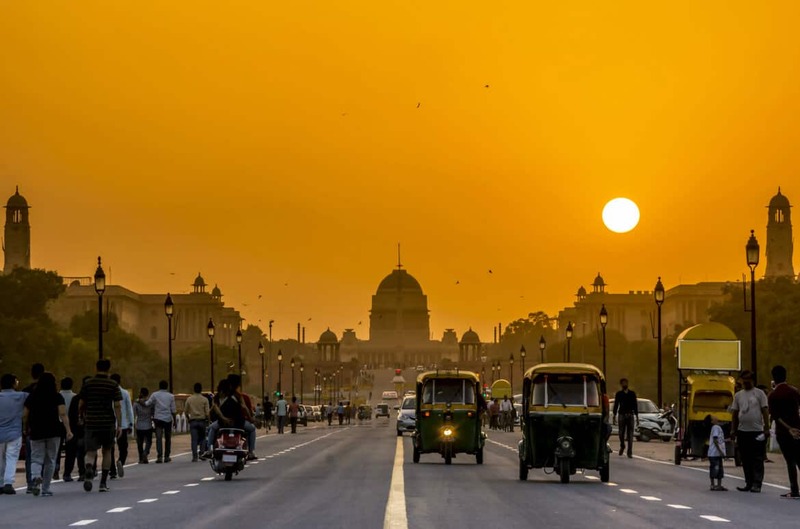 Is travel in India safe?